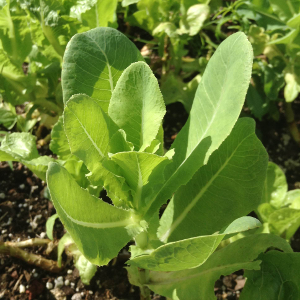 Looking for an easy, practical, sustainable, and good-looking form of gardening? I think we found it. First popularized in certain regions of Ethipia, the Keyhole garden provides a way to grow crops year round in a wide variety of climates while being incredibly efficient and productive! 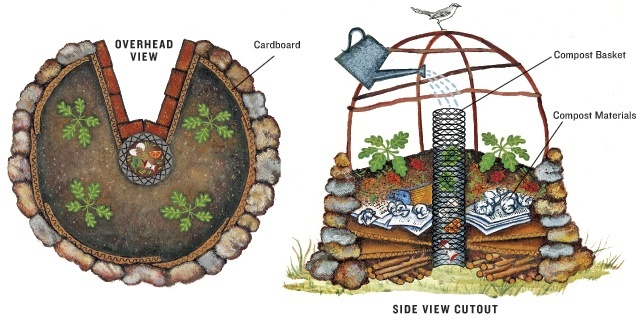 The garden is raised and circular, with a compost pit in the middle and a wedge sliced out from the pit to the perimeter, creating that keyhole shape. 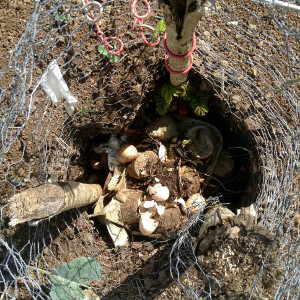 The compost pit provides nutrients for the plants, and produces heat which helps stimulate plant growth. The wedge makes for easy access to the pit, and makes watering a cinch – watering the garden through the compost pit ensures nutrients are spread evenly throughout the garden. First, we built the structure our garden with cinder blocks, about 3 feet high. 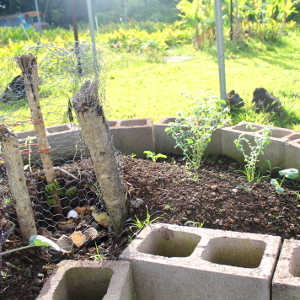 We staked three to four posts in the center of the garden and fenced them in with chicken wire to create a semi-permeable barrier for our compost pit. We tied reflective ribbons to the chicken wire in order to scare away the birds. Finally, we planted our seeds! We have been using this method for months now, and we could not be happier with the results! Thses gardens are so easy to weed and we can really tell that the compost from the middle does it job in fertilizing our plants. Also, it's a lot easier to keep the slugs and snails away because of the height of the gardens. Everything we have planted so far has grown WAY bigger than those in our traditional garden! Now you may wonder why we spend time growing our own food when we already have our hands full with fifteen acres of tropical flowers. Every day we find ourselves asking, what does being organic really mean to us? Sure, we don’t use pesticides or herbicides, and we do our very best to continually enhance this land. But in addition to caring for our beautiful flowers, we try to be sustainable in any way possible. That is because Hana Tropicals is more than just a business, it is our home. 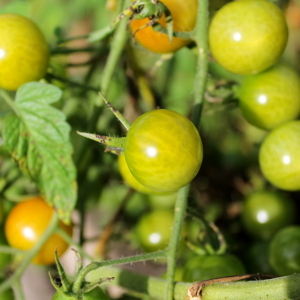 For us, being sustainable is an integral part of being organic. We live and breathe in this beautiful landscape, and want to be good stewards of what we've been given. We are an organic flower farm in Maui, Hawaii that strives to be as sustainable as possible by growing our own food for our farm team. If you'd like to follow our adventures check out our flowers and our instagram page. We hope you have the chance to create one of these gardens for yourself. If you do, take a picture and tag us on Facebook or Instagram @hanatropicals and we will feature you on our page! And as always, if you have any questions Hana Tropicals related, give us a call at (800)456-4262. Aloha!